James Tait-Jamieson is a sax player and singer from Palmerston North, New Zealand. After falling in love with jazz in his teens he went on to study at the New Zealand School of Music and then on to the graduate program at the University of Nevada Las Vegas. Living in “The Entertainment Capital of the World”, James had the opportunity to perform regularly on the Las Vegas Strip and beyond, honing his craft in front of audiences at Caesar's Palace, The Bellagio, Wynn Las Vegas and Four Seasons at the Mandalay Bay but to name a few. 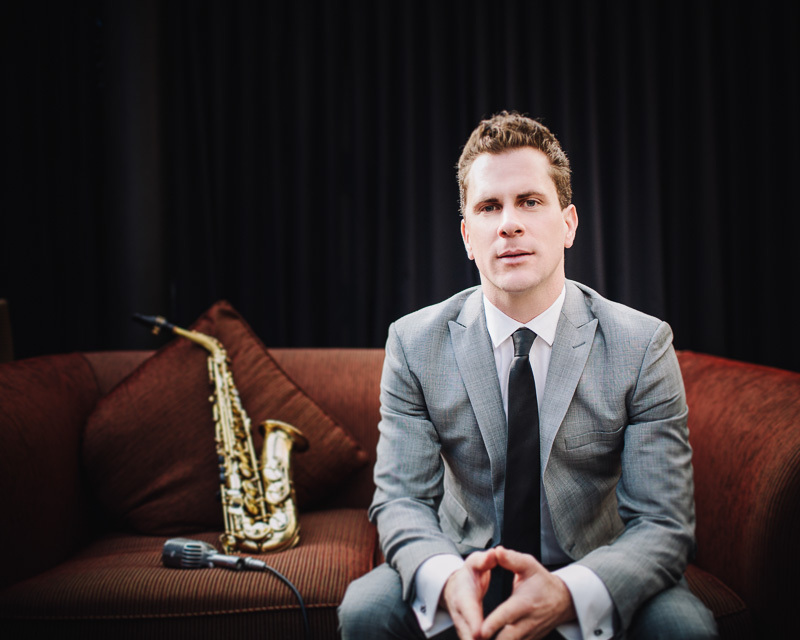 After graduating from UNLV and moving home to New Zealand he quickly started working with Wellington lounge band Shaken Not Stirred and did a year-long stint as saxophonist in The Bob Ptet at the Lido Café with Roger Sellers and Paul Dyne (New Zealand’s longest running jazz gig). In 2007 James debuted his musical review show Sons of Sinatra with internationally renowned trombonist and band leader Rodger Fox. The show has featured regularly at jazz festivals and concert venues all over New Zealand since then. In 2010 he joined legendary Wellington musical comedy trio Hot Club Sandwich and started teaching Contemporary Performance Music at UCOL in Palmerston North. Highlights over the past few years have been two month-long New Zealand tours and a week in Norfolk Island with Hot Club Sandwich and two trips to Fiji to perfom with blues singer Mahia Blackmore’s Paradise Band. James is currently residing in Brooklyn, Wellington where he is a member of the Rodger Fox Wellington Big Band and performs regularly with groups such as The Andrew London Trio and The Wellington Heads. 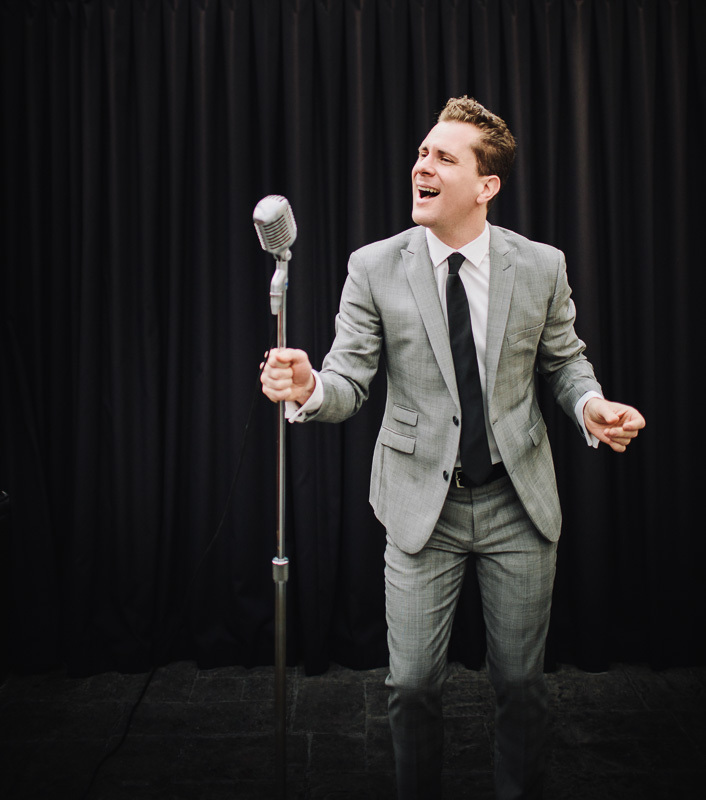 He is working on his first recording under his own name - a Michael Bublé-style jazz vocal album with big band and strings.